Sometimes in life I have embarked upon a course of action with the best of intentions, only to realize that I am making an already bad situation worse. I also like to take people at their word. Bearing these characteristics in mind I would like to make some suggestions as to how the increasingly Gordian-like knot of the current crisis in world Orthodoxy stemming from Ukraine might be undone, or at least loosened a little. We owe a debt of gratitude to the Archons of the Ecumenical Patriarchate who this past Saturday sponsored a virtual town hall meeting on the subject of “Ukraine Autocephaly.” They provided a platform for His Eminence Metropolitan Emmanuel of France – one of the principal players in the Ecumenical Patriarchate’s recent initiatives toward Ukraine – both to articulate clearly the Patriarchate’s motivation in acting as it has done and to respond to questions regarding this. The Metropolitan is clearly a well-educated and widely-traveled churchman who is fluent in several languages. We should extend him the courtesy of taking his words at face value. On several occasions during the meeting Metropolitan Emmanuel made it clear that the only motivation for the Ecumenical Patriarchate to interpose itself into Ukraine was a desire to heal a schism that has continued for some twenty-seven years and to lay the groundwork for a united Orthodox presence in the country. We can conjecture that he, together with His All-Holiness Patriarch Bartholomew and other leading members of the Synod of Constantinople, genuinely believed that the existing recognized Orthodox Church in Ukraine headed by Metropolitan Onufry would respond positively to their initiative. Clearly this has not been the case and, far from stabilizing the situation in Ukraine, the actions of the See of Constantinople have caused even greater division both in Ukraine and within the worldwide Orthodox Church. The possibility of a broadly-based autocephalous Ukrainian Orthodox Church, supported and recognized by all, has been set back a generation, if not more. The flaws in the arguments advanced by Metropolitan Emmanuel in the course of the town hall meeting were painfully exposed on several occasions. It is reasonable to presume that the Metropolitan himself was aware of this. We must hope, for the sake of the future of the ancient and renowned see of Constantinople, that it was so. Both he and the Holy Synod of Constantinople are surely perceptive and aware enough of reality to know that “full steam ahead” is no longer a policy that can achieve their stated goal of bringing peace to Ukrainian Orthodoxy. So what might they do and how could the other Orthodox Churches, most particularly the Church of Russia, do to bring an end to our present disunity? To regain the trust and respect of the other Orthodox Churches, the Ecumenical Patriarchate must publicly state that the body to whom they have handed the Tomos has not yet achieved the form that is specified. They must also acknowledge that this will not occur without the active involvement of the Orthodox Church of Russia. 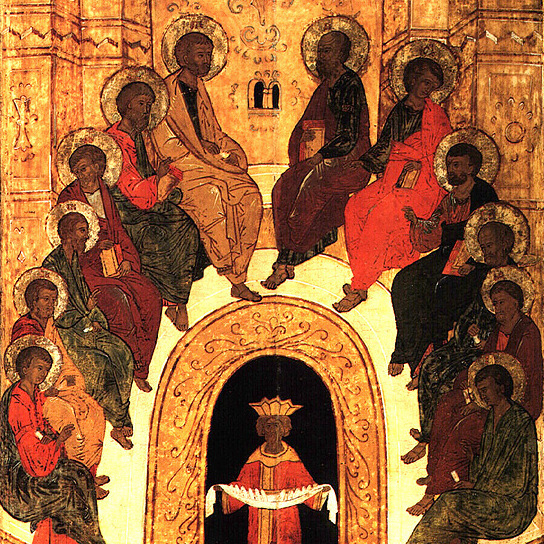 For their part, the Patriarchate of Moscow should state publicly that they are not opposed in principle to an autocephalous Orthodox Church of Ukraine and also affirm the diversity of identities that exists within the modern nation state of Ukraine, including those that do not recognize a sense of common heritage with ancient Rus. Following such a joint declaration a pan-Orthodox council such as the Patriarch of Antioch and others have been calling for, should be convened as soon as practically possible. Its primary purpose would be to review the questions of when, why and how autocephaly should be granted and how it would be universally acknowledged. It would also set up an appellate court to review the status of the Ukrainian former schismatics and to establish what corrective actions are necessary to ensure that they are universally recognized as Orthodox Christians, with any necessary and appropriate action being taken with regard to their ordinations. If they were previously under a penance imposed by the Orthodox Church of Russia that Church would have to give its consent to these penances being lifted etc.